Have you ever thought of starting a website or blog and got confused of the terms such as domain name and hosting? In this small business tips post, I have explained these terms in a very simple way and it will be crystal clear once you read this post. What do you need if you are starting out offline business and want your customers to visit your business? I think you will require office address. Similarly domain name is your address on the web such as yourbusinessname.com so you can give your customers to visit your online business or presence. Alright you got the office address, can you run your offline business just by having an office address only? I don’t think so; you will also require an office space as well where you can keep/display your products. 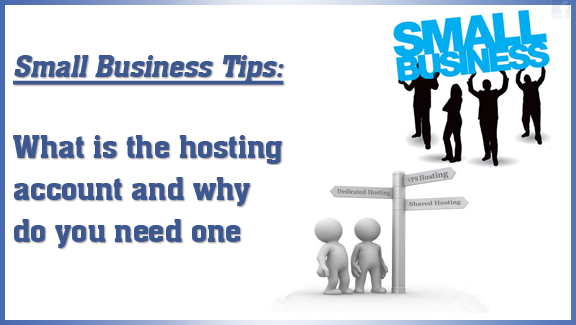 Exactly the same way hosting is the land/space where you will keep all your data for your online business. Hosting company owns big servers and sells small pieces of space to website owners where they can place their website data. Your website files will be stored on a server. A server is simply a big computer which stores huge amount of data for website owners. 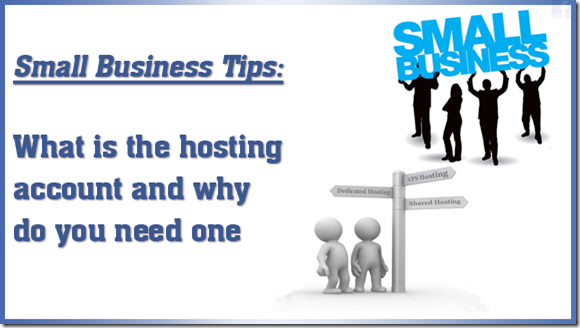 Hosting is the back end of your business like storage space and garage. Your website is a front office and hosting is a back office where you keep all your storage. I know this is very basic because I am writing this for small business owners who are just jumping into acquiring their online presence. Please feel free to ask any question you may have regarding this in the comments section at the end of this post. Feel free to enter your email id in the box placed right side of this post to stay up to date with up coming small business tips.